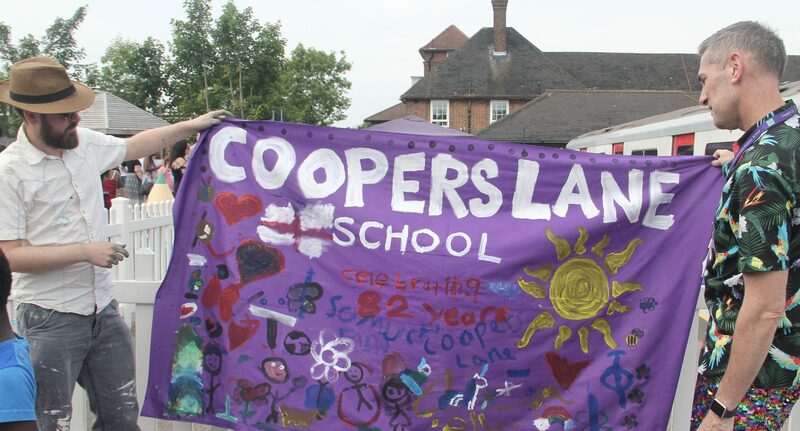 Coopers Lane PTA is an important part of the community of the school. We are always looking for new members. The more parents and staff we have, the better we will be able to realise our goals and dreams for Coopers Lane. We hold regular meetings, alternating between drop-off (9:00) and evening to try to accommodate as many as possible. If you can’t manage to come to a meeting but would like to get involved in any way, just email us on cooperslanepta@gmail.com or leave a message at the office. Whether it’s a one-off donation, volunteering, even for a few hours, or getting your employer to sponsor an event, we are always very grateful for any help. Elaine Harris (Learning Mentor) is the school contact for the PTA so please get in touch via the school office if you would like to get involved. If you are good at fundraising, creative, sporty, or even just good at talking to people, we can use your skills! It was a fantastic success, making over £6,000! Bingo Night! Fri 2 November at 7 p.m. £5 for entry and book. Bring your own food and drinks.